The all-female reboot of Oceans 8 was supposed to be an empowering film for women. The movie spotlight the talents of its tremendous female cast and showcase the savvy and prowess of its characters. 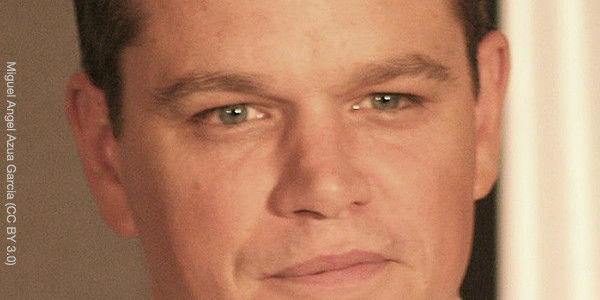 But that was before allegations that Matt Damon — who has a well-publicized cameo in Oceans 8 — not only ignored but enabled his friend Harvey Weinstein's inappropriate behavior by trying to squash a New York Times report in 2004 that detailed instances where Weinstein had used his position as a high-powered studio executive to harass and even assault women. Damon also recently gave an interview where said he'd still work people who had been accused of sexual misconduct, on a "case-by-case" basis. This behavior is beyond enabling — it's just gross. Matt Damon should not be in this movie. Damon's inclusion would trivialize the serious nature of the charges against sexual abusers like Weinstein — a show massive disrespect for the brave women speaking out. It would also send a terrible message about the inevitability of — and lack of accountability for — sexual harassment in the workplace that four in ten American women experience. I'm calling on Oceans 8 producers George Clooney and Steven Soderbergh to toss Damon's Oceans 8 cameo where it belongs: on the cutting room floor. Will you join me? Take a stand against sexism. Add your name now.